Dr. Kim received his undergraduate from UCLA and his Medical Degree from the prestigious Loma Linda University Medical School. Loma Linda is also where he spent his residency and received the Victor Von Pohle award for outstanding intensive care residents. 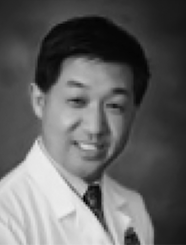 Dr. Dennis Kim is board certified through the American Board of Internal Medicine. Dr. Kim is an excellent Physician at the TriValley Internal Medicine Group who speaks both English and Korean. Dr. Denis Kim has always treated me in a professional manner and is a kind human being.